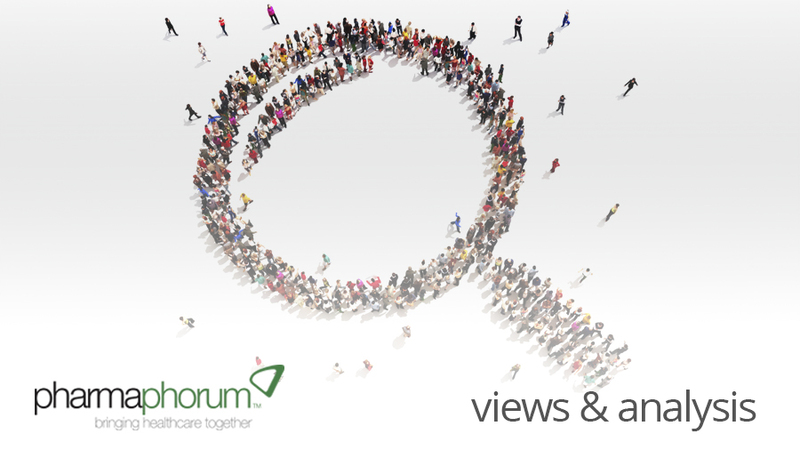 Rebecca Aris explores pharmaphorum’s highlights from January, by sharing some of your opinions on our content through the social media messages and comments we’ve received in January. Every day we engage with our audience, through Twitter, Facebook, LinkedIn, the list goes on… Through these channels we receive some great feedback and comments, all of which help us to learn what content is popular. In addition, these channels help our content to reach a much broader audience than it would have done otherwise. In order to gain a doctor’s perspective on the pharma industry, we interviewed five healthcare professionals and published their opinions anonymously. The interviews received some great attention on LinkedIn…. Thanks for taking the time to comment about these pieces! Last year we attended the Cegedim Relationship Management’s ‘2012 Life Science Forum’. We interviewed a number of attendees on their thoughts on innovation within the pharma industry. Throughout January we have been publishing this video interview series in four parts. The full video can be viewed here. It’s really nice to see some of our content being appreciated and also seeing comments that reflect that our content is really tapping into the current thinking of issues within pharma. In January, we interviewed Shaun Grady, Vice President of Strategic Partnering &amp, Business Development at AstraZeneca on what AZ looks for in a licensing partner. AZ kindly shared and promoted this interview on their blog, which really helped to increase the visibility of the interview. Steven Grossman followed suit and shared his pharmaphorum blog post ‘FDA post-election: continuity and progress likely to mark 2013’ on his FDA matters blog. As a result we’ve seen an increase in audience numbers for both pieces so we’re really pleased with these shares. Another content piece that drew some discussion on our LinkedIn group was an article on the med comms and CME environment in Asia by Lisa Sullivan. It’s great to see some of our content sparking debate in these channels. We really do appreciate it when you take the time to comment on our articles, more often than not the author will respond and it’s a great chance to discuss a topic of interest to you with an industry thought leader. @pharmaphorum @Hannah_Blake2 Thanks so much for the great article!! This second tweet is currently our second most retweeted tweet (see tweetreach for more info), and so really helped to share the article. All of these comments help us to see what content is popular. But, perhaps more importantly, it helps to facilitate the sharing of our content so that they can be viewed by a much wider audience. So if you plan to write an article for us in the near future do have a think about how you and your contacts can help to share the piece and increase its visibility. After all, if it’s worth writing about then it’s worth sharing too. I also hope that this article has encouraged you to engage more, we have many channels in which you can communicate with the rest of our audience so please do use them. What’s on the horizon in February? As our disease focus is on rare diseases next month we will be hosting a tweet chat on the topic this Friday 1st February at 4pm GMT / 10am CST. pharmaphorum will be using the outcomes of the tweet chat to create a content piece for rare disease day 2013. Please use the hashtag #pharmaphorum to follow and in every related tweet. Not taken part in a tweet chat before? Here are ten good reasons why you should, and some suggested tools to help you become involved. In addition to hosting this tweet chat we’re keen to hear from rare disease patients. If you suffer from a rare disease and are happy for us to share your story please get in touch. You can find out more here (in another, much appreciated, blog mention). In addition to our disease focus, our discipline focus next month will be on ‘patients’. As such, our patient nomination continues, so please do vote if you haven’t already. Finally, I’d like to thank our January sponsors – ‘Clinical Current’. You can read about how Clinical Current thinks social media changes med comms here. Until next time, keep sharing and commenting. Will you be taking part in our rare disease tweet chat?